We supply live trout for in-shop and in-restaurant aquarium display, as well as for farm dam stocking. Whilst live fish are considerably more expensive because of transport costs, they can be a good marketing tool for your business, and are a premium product. We can supply fish at any available stock size and in any reasonable quantity. If you’re thinking about a farm dam stocking please note DPI Fisheries rules apply. 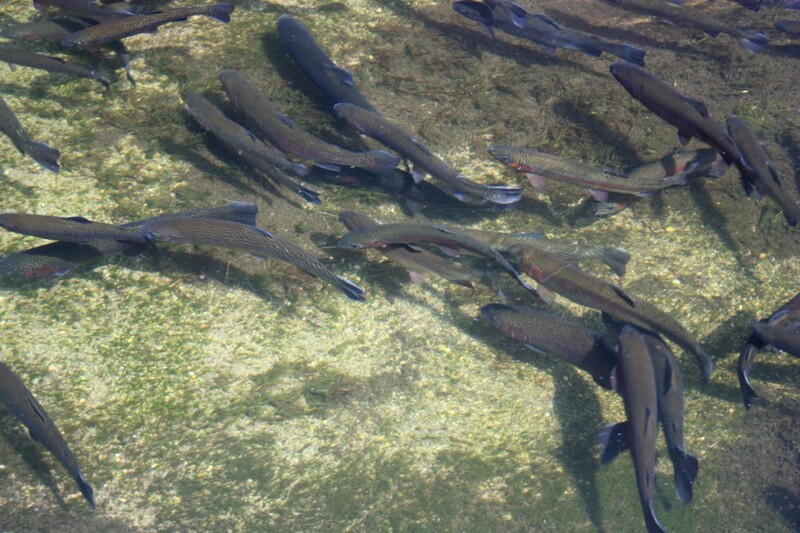 You can only stock in a geographic area where trout are present, and you can only stock in dams that are not likely to flood allowing the fish to escape into a natural waterway. There are some areas where trout cannot be stocked because they might impact on native fish, such as Macquarie perch. You should check the DPI Fisheries website for more information.